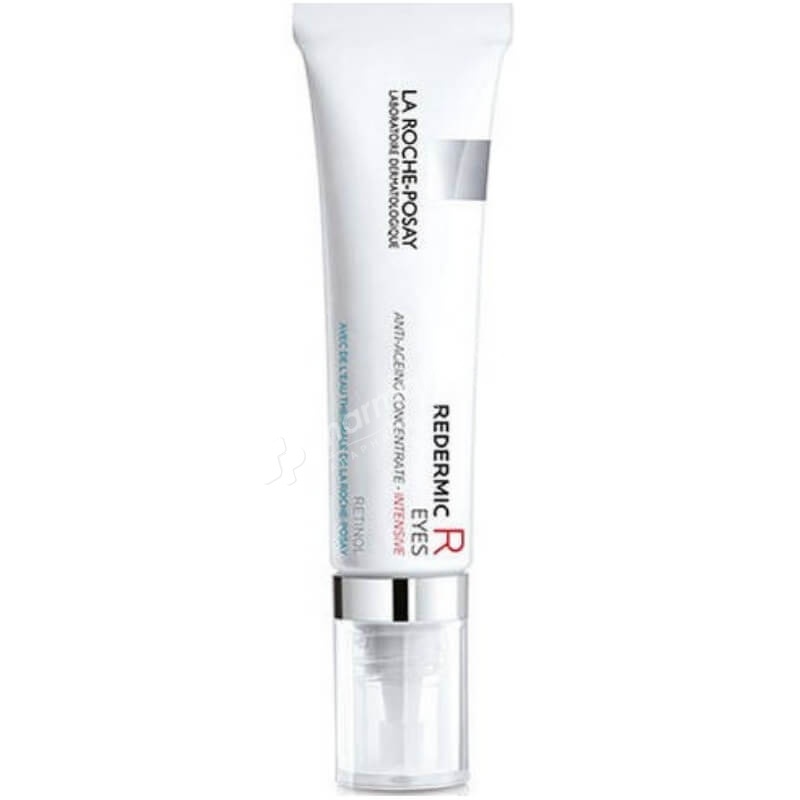 La Roche-Posay Redermic R Eyes is formulated with pure retinol and visibly reduces the look of crow's feet wrinkles and dark circles. This unique formula provides an instant visible lifting effect and is gentle enough for the sensitive eye area. ANTI-AGING CONCENTRATE - INTENSIVE: This anti-aging retinol eye cream is formulated with pure retinol and visibly reduces the look of crow's feet wrinkles and dark circles. This unique formula provides an instant visible lifting effect and is gentle enough for the sensitive eye area. AQUA / WATER • ISOCETYL STEARATE • GLYCERIN • OCTYLDODECANOL • PROPYLENE GLYCOL • PENTYLENE GLYCOL • DIMETHICONE • ACRYLAMIDE/SODIUM ACRYLOYLDIMETHYLTAURATE COPOLYMER • CETEARYL ALCOHOL • DIMETHICONE/VINYL DIMETHICONE CROSSPOLYMER • CAFFEIN • ISOHEXADECANE • SODIUM HYALURONATE • SODIUM HYDROXIDE • RETINOL • RETINYL LINOLEATE • ADENOSINE • AMMONIUM POLYACRYLDIMETHYLTAURAMIDE / AMMONIUM POLYACRYLOYLDIMETHYL TAURATE • CAPRYLYL GLYCOL • CITRIC ACID • POLYSILICONE-8 • POLYSORBATE 80 •PHENOXYETHANOL.